I found this amazing low impact home online today at Simondale.net, and had to share it with all of you. 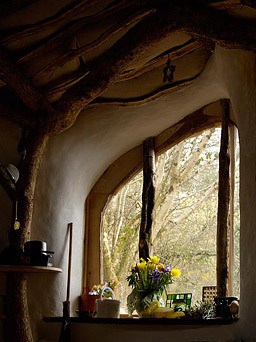 This young family in Wales built this amazing, eco friendly home themselves. They spent around $4,000 (if I did the currency conversion right) on supplies, and invested 1,000-1,500 hours of work into the project. This house is like something out of a fairy tale, isn’t it? It’s so inspiring to me that they did this on their own, with some help from friends and family. It’s truly amazing what can be accomplished when you have a dream, and the desire to make a difference. Here are some of the details on this amazing home. 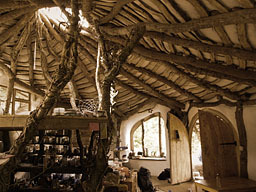 This information was taken directly from their website, A Low Impact Woodland Home. I highly recommend checking out this wonderful family’s website, which you can find here. They’ve posted the original plans (which they drew themselves, of course!) and there are many more wonderful pictures, as well a complete explanation on why they built such a unique, sustainable home. 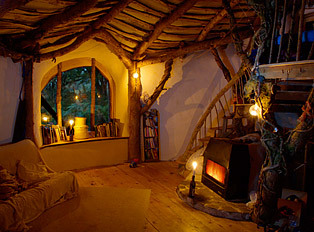 There’s also a page that has many pictures of other similar, sustainable, natural homes, which you can find here. All of them are completely amazing. 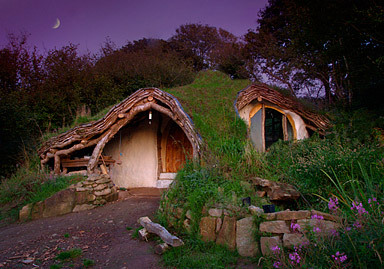 Yeah, their house looks like something out of “The Hobbit”. They said on their website that their design touches a lot of people, perhaps because it brings us back to our ancestors. And I think that’s a big part of it; there’s something just so old and comfortable about the way that house looks. It’s hard to describe the feeling I get looking at it. how does a low impact woodland home handle in direrent weather?